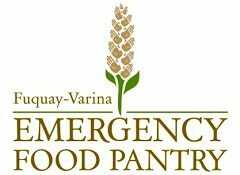 The Fuquay-Varina Emergency Food Pantry is staffed entirely by unpaid volunteers. Our current board of directors consists of two co-chairpersons, a treasurer, secretary and three members at large, identified below. Special thanks to Al Prevette for many years of service as treasurer. De O’Brien is usually at the food pantry during the hours of operations and is the primary person responsible for coordinating volunteers or citizens doing community service. During business hours, Tuesday mornings and Thursday afternoons, you can reach her by phone at (919) 552-7720. Volunteers and members on the board will also monitor emails and prayer requests initiated through this web site.